This sound meter measures from 40 to 130 dB with an accuracy of 3.5 dB. 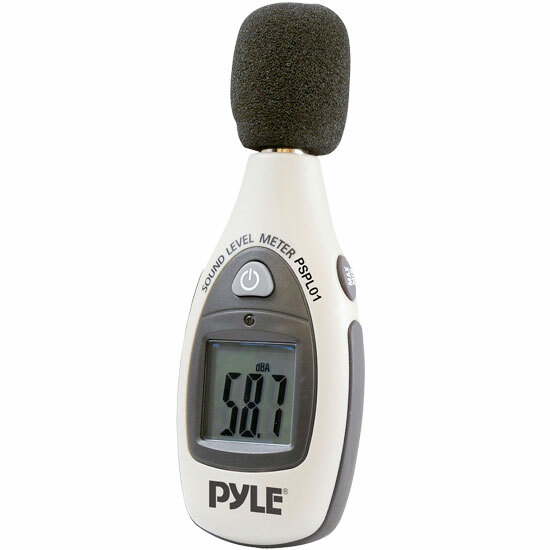 It uses a 0.5" electret condenser microphone for accurate sound measuring. The digital display offers 0.1 dB sound resolution with fast time weighting. Uses A-type frequency weighting. Powers off automatically after 15 minutes of inactivity. Includes microphone wind screen and a 9 V battery for up to 50 hours of battery life. Review : I just received it. It needs to be calibrated according to ANSI Standards. Review : This is a great product who work as advertised.